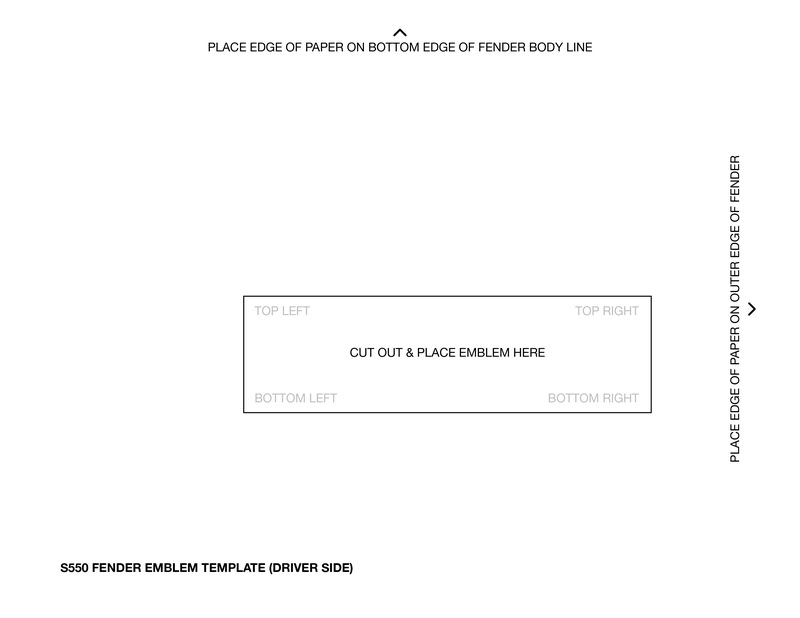 Whether you're installing a set of fender emblems on your 2.3 Ecoboost or3.7 V6; this template is a great tool to ensure you position the emblems exactly where you want it. 5.0 Mustangs had pre-drilled holes to help with alignment, where V6 and Ecoboost Mustangs did not. 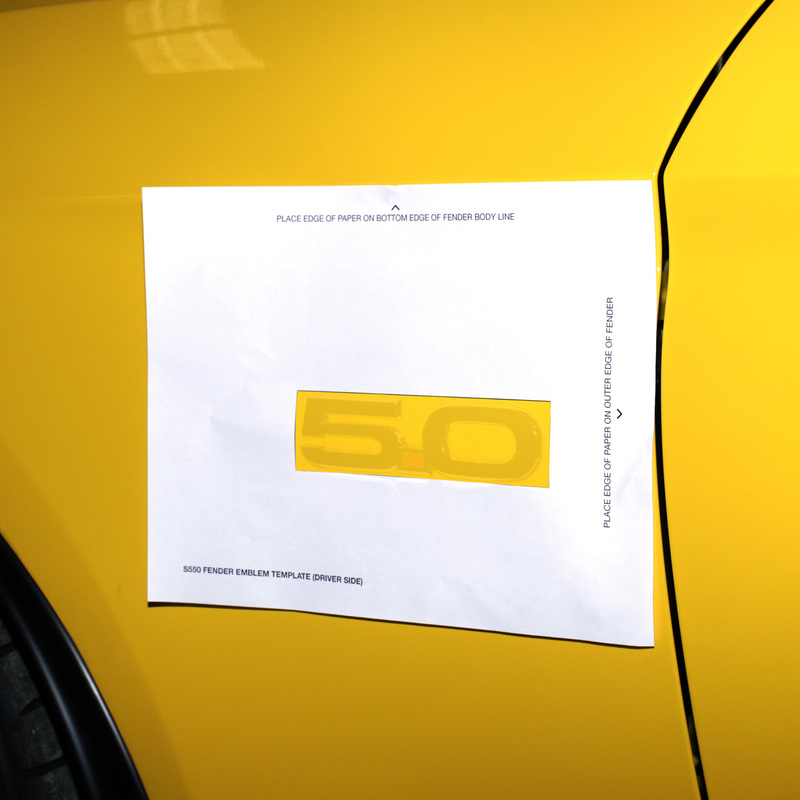 You can easily print this template on a standard sheet of paper, cut the hole out and align it on your car. The template has easy to follow instructions. The top edge of the template will be placed along the bottom edge of the fender body line. While the side edge will be positioned with the fender to door line. When you're ready to move to the passenger side, simply flip the template over and align it in the same manner.